Lego? Why not? 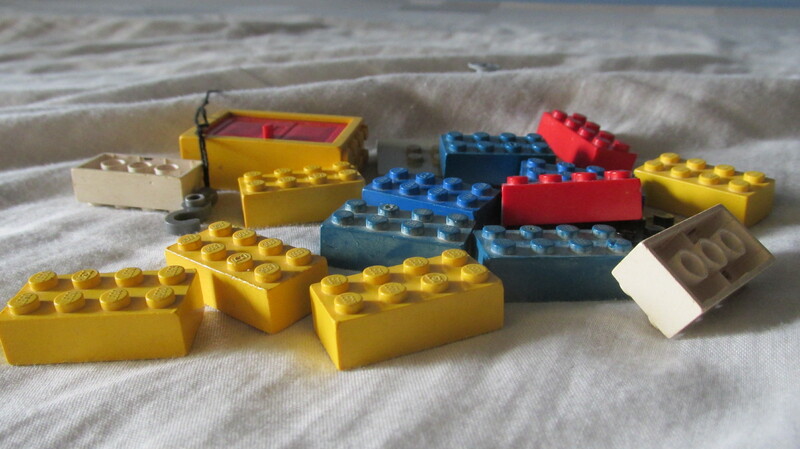 Your equipment happens to be blocks of different sizes, shapes and colours. Using just a few different types of building blocks, you could construct almost anything you fancy. This is mind-boggling when you remember that Deoxyribonucleic acid (DNA) controls everything about how we are made, and is made up of chains of just four "building blocks" - adenine, cytosine, guanine and thymine. Even more so, when you realize that adenine (A) always pairs up with thymine (T), and cytosine (C) always pairs up with guanine (G). That already reduces the number of combinations right from the start! Yet we know that DNA forms the code that decides how we humans, each comprising about sixty to seventy trillion cells, are formed and integrated in order to function as living beings! Nature has already shown us how to use basic building blocks for endless possibilities. Leadership competencies that are to be effective, yet practical and easy to learn and apply, are actually well within the reach of every one of us. Take the framework of the Full Range Transformational Leadership Model by Bass & Avolio, for example. The model discusses Transformational, Transactional and Passive-Avoidant leadership behaviours, which in different combinations lead to varying degrees of Extra Effort, Effectiveness and Satisfaction in both leader and follower. Leaders can use such a leadership model as a very handy framework for exercising leadership skills as well as training themselves to be better leaders at the same time. Simple model. Simple concepts. Simple steps. A myriad of possible applications where the rubber hits the road. One of the leadership behaviours, Inspirational Motivation, for example, can be applied in different ways for different behavioural types. Introverts are inspired quite differently from extroverts, at least in the initial stages of a relationship. As time goes by, more combinations are added and possibilities just keep on growing. Reference to a common framework aids in clear communication of expectations for both leader and follower, and can help in the early stages of establishing a leadership development culture in any organization. However, practical and effective leadership knows that a leadership model, no matter how effective and easy to use, is still just a model. Once the model's basic tenets have been mastered, leadership development possibilities are endless, and the organization would then have a great store of internal strength and robustness to tackle market challenges and be agile enough to respond swiftly to changing patterns of client/ customer needs and wants. Indeed, the organization would be in a strong position to influence the market. Think fundamentals. Think building blocks. Just like Lego.